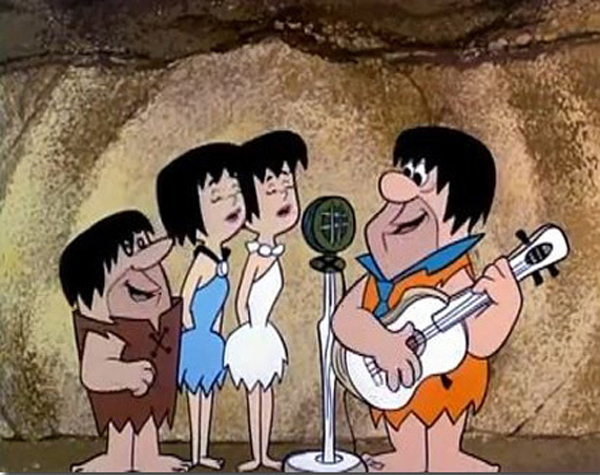 At the height of Beatlemania, The Beatles song “She Loves You” was parodied in an episode of The Flinstones. In episode “The Hatrocks and The Gruesomes” that first aired on January 22, 1965, The Flinstones hillbilly friends “The Hatrocks” overstay their welcome at The Flinstones home. Fred unsuccesfully asks his neighbors “The Gruesomes” to scare them away and thats when Fred discovers that “The Hatrocks” do not like “BUG” music. 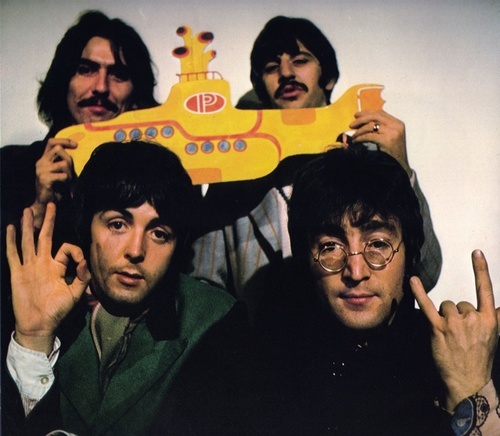 “BUG” cleverly meaning The Beatles. 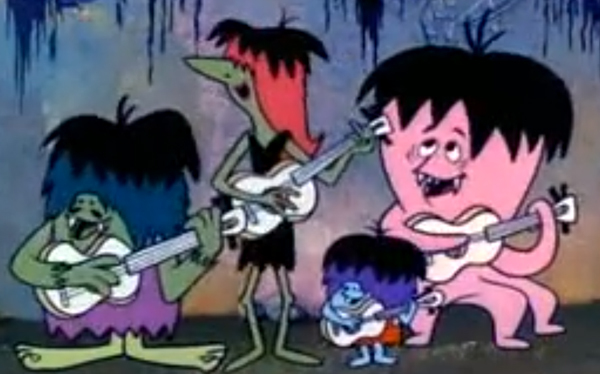 Here’s Fred, Wilma, Barney, Betty, Pebbles, Bamm Bamm, Dino, Hoppy and the Gruesomes singing “She Said Yeah Yeah Yeah“, a parody of The Beatles’ “She Loves You“.